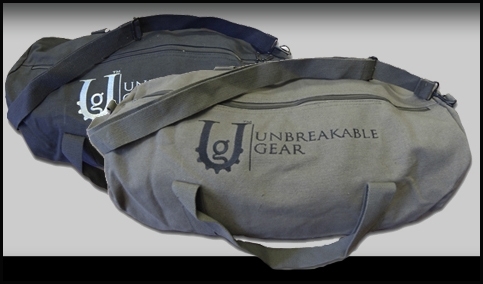 This one-of-a-kind Unbreakable Gear Bag will carry you through any battles of blood, sweat and iron!! .This Heavyweight Canvas No-Nonsense Shoulder Bag is water repellent and features a zipper-end pocket, grab handle at other end, detachable & adjustable shoulder strap and web carry handles. It measures 24 " long by 12" and is available in Olive Green with Black embroidery or Black Canvas with Red embroidery and features the classic UG Logo.